The UK prime minister has reportedly secured "secret" concession from EU over Northern Irish border issue. May's plans are likely to appease all wings of the Conservative Party, and could even appeal to some Labour MPs, the newspaper said. Plan removes the need for a so-called "backstop" on the Northern Irish border issue. British Prime Minister Theresa May has reportedly secured a series of "secret" concessions from the European Union that could allow the whole of the UK to effectively remain within a customs union with the bloc after Brexit. The Sunday Times reports that the prime minister is close to a political deal on the UK and EU's so-called future economic partnership, which the newspaper says will "allow Britain to keep open the prospect of a free trade deal resembling that enjoyed by Canada." May's secret concessions from the EU centre on checks at the Northern Irish border with the Republic of Ireland, which has so far been one of the biggest sticking points in Brexit negotiations. Under the concessions, the EU is said to have accepted that regulatory checks on goods be allowed to take place "in market" - effectively meaning that checks can be done in places like factories, rather than at the border between the two countries. "The EU will write an all-UK customs deal into the legally binding withdrawal agreement so an EU-designed "backstop" treating Northern Ireland differently from the UK mainland is not required," the Sunday Times said. 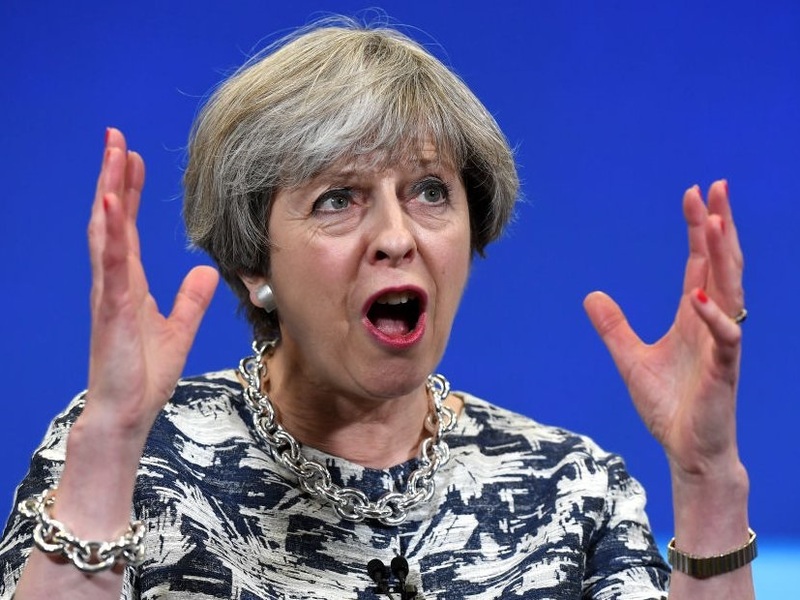 "Unless they support it, they will be personally responsible for causing a no-deal Brexit," May is believed to planning to tell Brexit-backing ministers. Most regard such an outcome as a "potential disaster." On Saturday, Business Insider reported that senior government sources "believe pro-Brexit rebel MPs will ultimately fold and support May's Brexit deal." A spokesperson for Number 10 Downing Street described the reports as "speculation." "This is all speculation. The prime minister has been clear that we are making good progress on the future relationship and 95% of the withdrawal agreement is now settled. Negotiations are ongoing," a statement read. You can read the Sunday Times' full story here. This 33-year-old is about to trek across Antarctica alone — no-one has survived it. He's bringing just one pair of underwear.